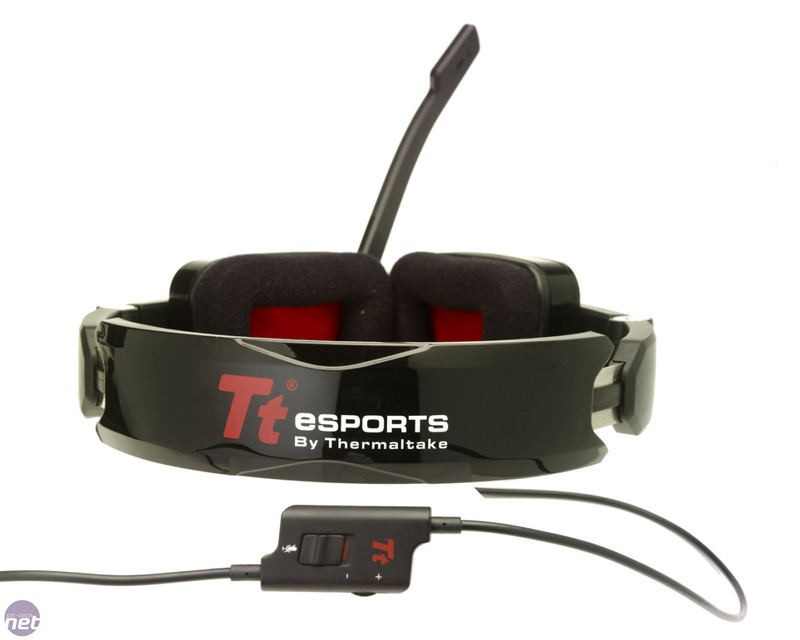 Tt eSports, the gaming peripheral subsidiary of Thermaltake, is rapidly expanding its product range. 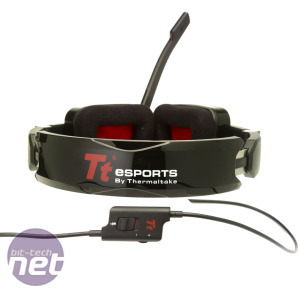 We’ve already reviewed its keyboards and mice, but this is the first headset from Tt eSports that's graced our lab. 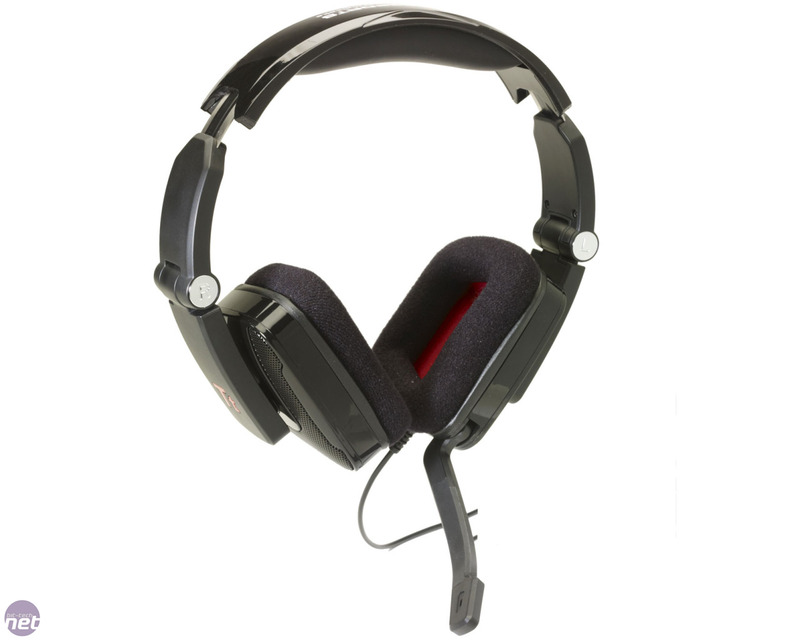 The Shock is a large and bulky headset with a hefty, padded headband. 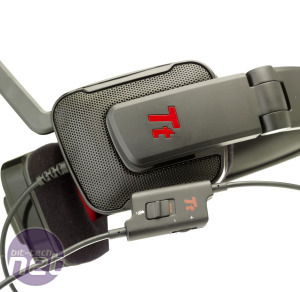 Each earcup can fold inwards courtesy of a hinge between the ear cup and the headband, thus reducing the Shock’s size for easy transportation. It’s sturdy and feels durable, but remains lightweight. The padding is in exactly the right place on the headband, but the ear cushions are on the small side and didn’t quite clear our ears – the cups have definitely been designed with small heads in mind. This is exacerbated by the fact that the pressure exerted on the ears became uncomfortable after just short periods of time. The headband can be adjusted but this did little to make it more comfortable. 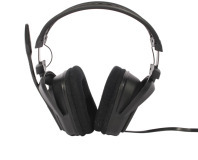 The padded ear cushions also meant that our ears became sweaty due to the over firm grip the headset exerts on your head. Despite this tight fit, the headset also allowed a fair amount of sound to leak out through the material. To make matter worse, we felt that the Shock’s external design wasn’t as sleek as some of the competition; its angular, chunky look and feel just wasn’t quite to our tastes, although this is an entirely subjective assessment, of course. Listening to some of our favourite music, the Shock’s bass was lacklustre at best, often sounding muffled and devoid of detail, especially at high volumes. 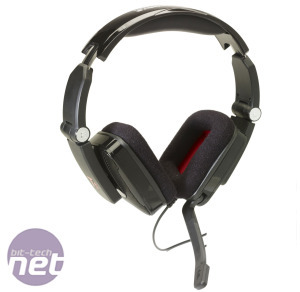 The mid-range and high end were clearer but still sounded washed-out and bland in comparison with the sound of the Razer Carcharias. On the plus side, the volume control on the headset’s cable is a valuable addition, and it also enables you to easily mute the microphone. The mute toggle is clearly labelled, so if you find your team mates ignoring your sage in-game advice, only to realise that you’ve muted yourself, you’ll only have yourself to blame. The microphone quality isn’t brilliant, however; it picked up a fair amount of background hiss during our online testing. 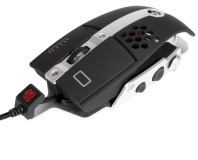 It isn’t the poorest-quality microphone we’ve used, but we’d certainly expect better for the Shock's price. 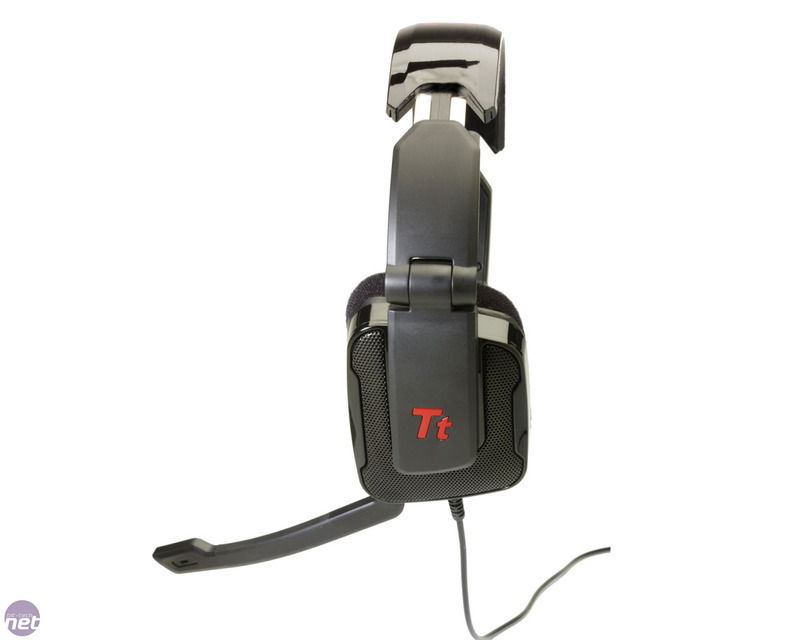 The Tt eSports Shock is a reasonable headset, but it fails to impress in a number of areas. The flat bass response is perhaps the biggest issue as far as audio is concerned, and the microphone’s quality is questionable too. 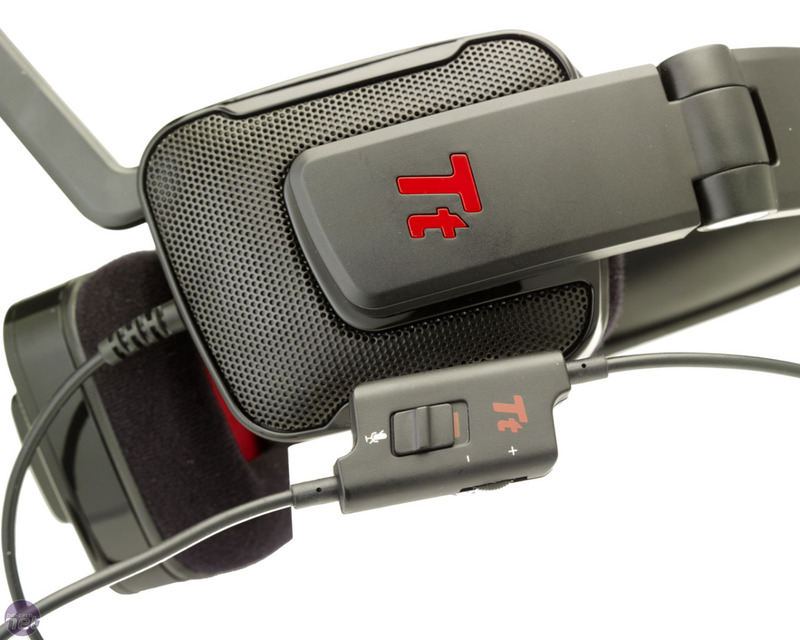 While the mid-range and high end frequencies sounded were acceptable, they often left a lot to be desired compared with other headsets we’ve tested. The main reason to look elsewhere, though, is the uncomfortably tight fit – this is a shame, as the Shock is otherwise well made. If you can live without a microphone and in-line volume control, the Razer Orca headphones cost just £15 more and offer vastly superior audio quality, particularly when it comes to low end frequencies. 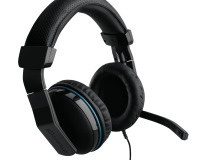 While the Shock is much cheaper than the Razer Carcharias, if the ability to speak to your team mates is essential then the latter is significantly better in every way. 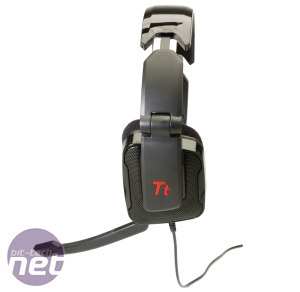 Compatible with the PS3 and Xbox 360 as well as PCs, does this bargain headset have it all?